Inter have left Mauro Icardi out of their squad for Thursday's Europa League clash with Rapid Vienna after stripping him of the captaincy earlier on Wednesday. The Serie A club revealed goalkeeper Samir Handanovic as their new skipper but did not give any reasons for Icardi's removal. The Argentina international trained with the squad on Wednesday but was a notable absentee when Inter named the 19-man party who would travel to Austria for the first leg of their last-32 tie. Speaking last month, Icardi's wife and agent Wanda Nara insisted he would sign a renewal. However, that has done little to assuage doubts over his future and head coach Luciano Spalletti - speaking after a 1-0 win over Parma at the weekend - expressed his frustration. 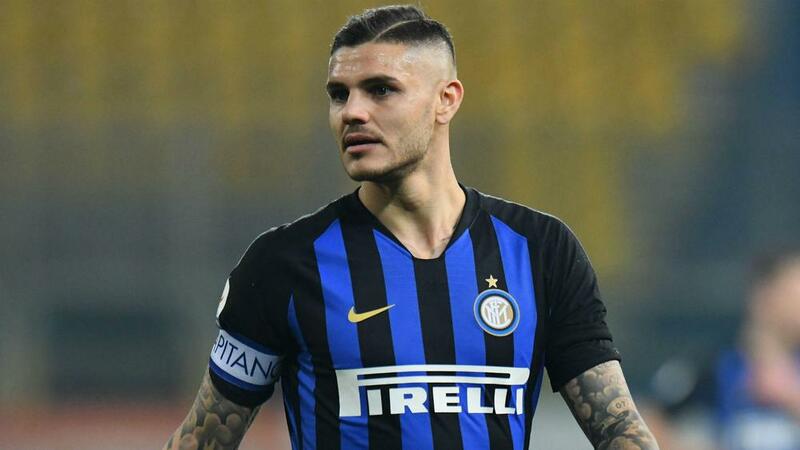 "I have not created any problems for Icardi," Spalletti told DAZN. "Issues need to be clarified, because when you leave things half-cooked, they become open to interpretation. The situation became more unclear when Nara, speaking on the Tiki Taka show, said: "I would like Mauro to be more protected by the club because sometimes some bad things come from inside."